The Lustrian jungles are most commonly associated with the Lizardmen but more than these cold-blooded denizens live beneath the palm fronds. 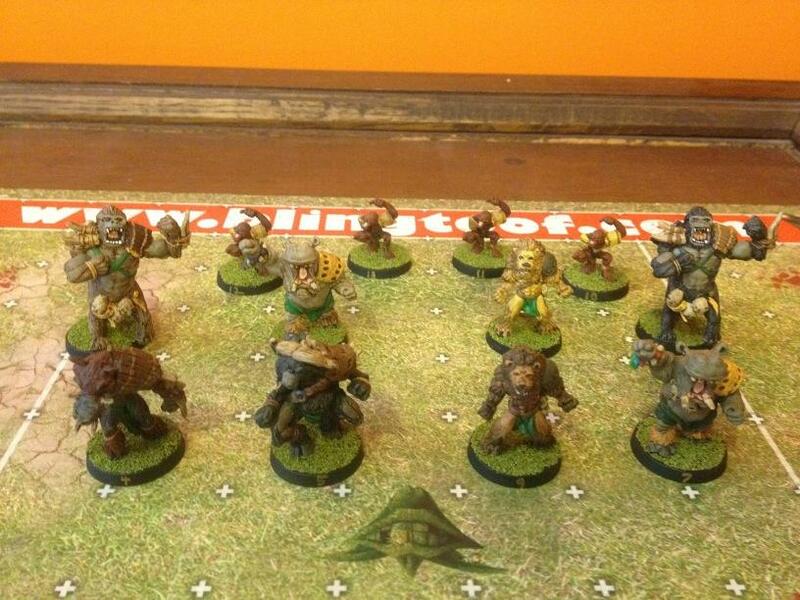 A decade ago, a small detachment of Chaos Dwarfs was sent from Zharr-Naggrund to explore the jungles of Lustria. 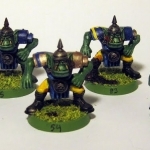 They were expected to surreptitiously glean some of the Slann wisdom that Lizardmen employ to great effect on the Blood Bowl pitch. The detachment never returned to Zharr-Naggrund and were presumed captured, eaten, or (likely) both. This, however, was not true. Their inherent corruption as consorts of Chaos began to intermingle with the natural mysticism of the jungle and their very anatomies began to mutate and assimilate to the life and creatures around them. 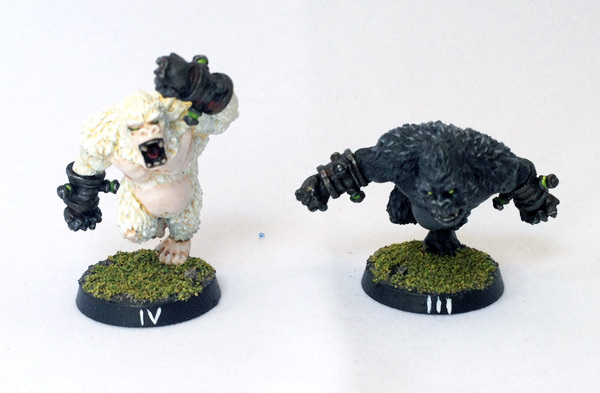 The Bull Centaurs took on a simian aspect and now refer to themselves as Gorillataurs. The Chaos Dwarf warriors among them took on the appearance of various jungle animals including lions, hippopotamuses, cape buffalo, and warthogs. 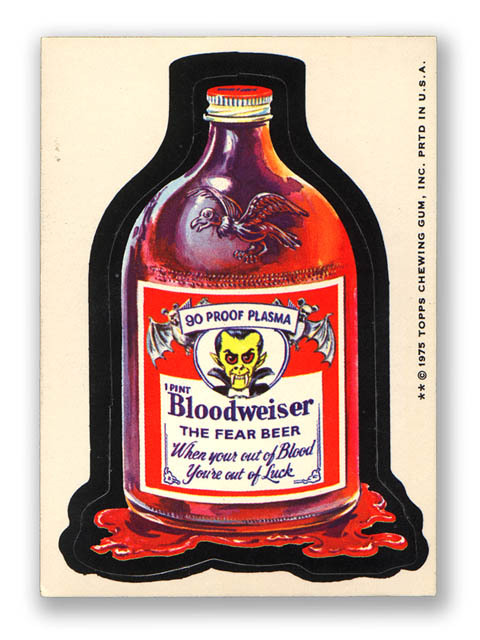 Even the lowly Hobgoblin slaves themselves have more in common with baboons now than their goblinoid origins. Though it is as-yet unseen, there is a rumour of a mutated Minotaur in their midst, as well, although it is not yet stable enough to take to the pitch. 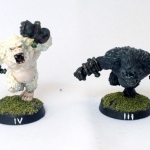 Through tribal dancing and drumming, the Chaos Dwarf-descended anthropomorphic animals of “Jungle Boogie” have emerged from the jungle on two legs and are ready for a fight. 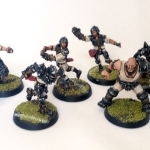 This team was made using the Siringit line of miniatures from Impact. I really liked the Gorillataur models and thought they’d make great Bull Centaurs. The hippopotamuses are also really fantastic sculpts and are my second-favourites. I originally picked up a few Rhino Defenders but didn’t wind up using them for now. The pose on the Rhinos is such that they’re leaning forward and hang significantly over the edge of the base. 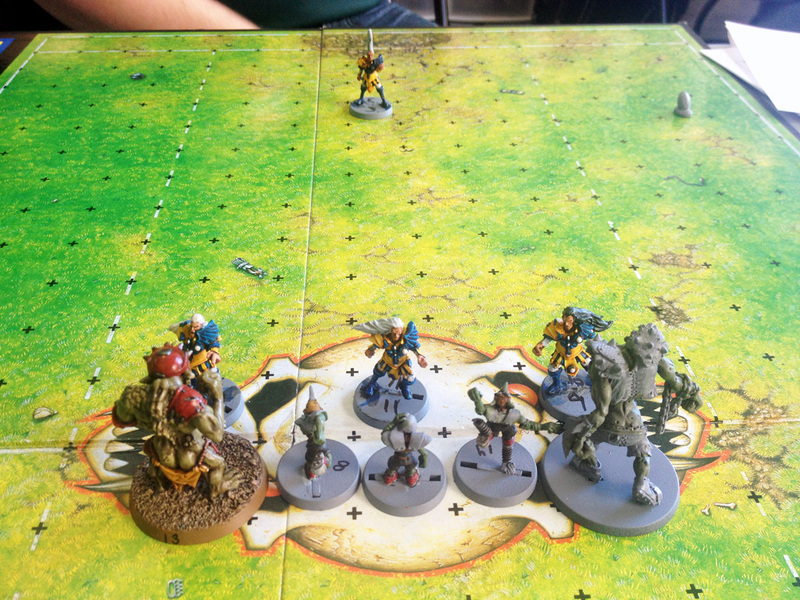 For many minis games that’s not a big deal but for Blood Bowl it can be problematics since miniatures are so close together so often. The hippos, by contrast, are perfect Blood Bowl sculpts as their pose has them completely within the “cylinder” of the base. 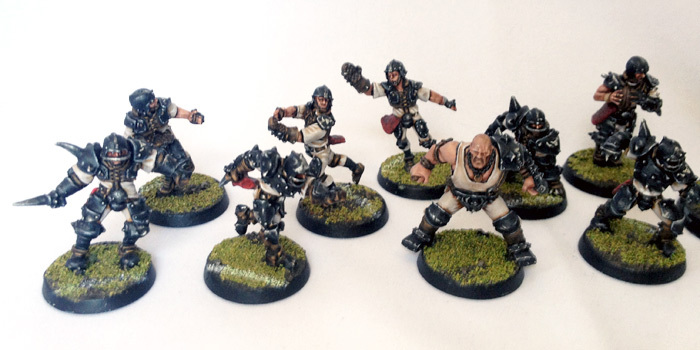 As glad as I am that the team is done and painted I bought them about a month before the Volmarian Chaos Dwarfs by Greebo were released. 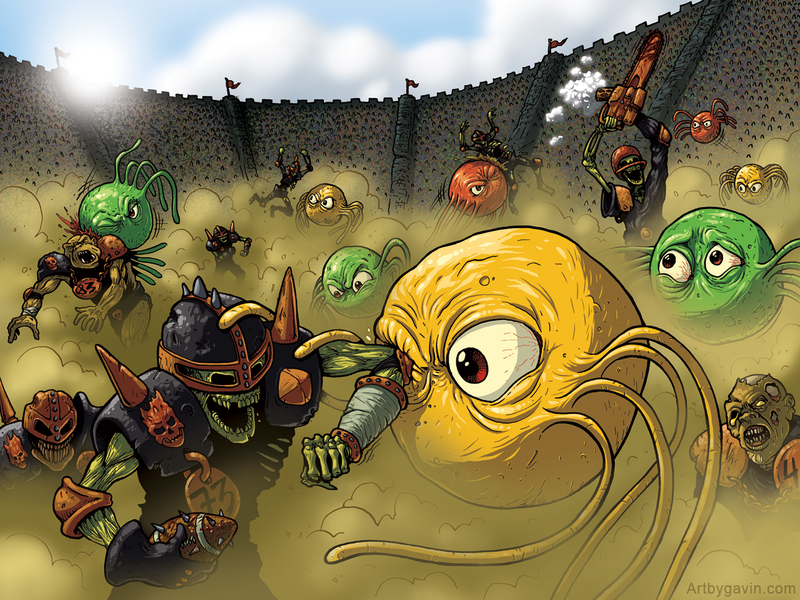 Those are pretty much a perfect vision of Chaos Dwarfs, in my opinion. That being said, I do still enjoy the variant theme in terms of the jungle animals. I feel like this is “my team”, if that makes sense. Additionally, the hippos, lions, cape buffalo, and warthog can be multi-use models, too. I plan on using them at some point in the future as beastmen for a Chaos team. With a little conversion so that they’re not leaning so far forward, I think I can re-purpose the rhinos I have to be Chaos Warriors. The five free fan factor is great but complicates my team planning a little. In a league where all teams start with zero FF I’d purchase 5 FF at team creation in hopes of that helping me earn more money earlier. 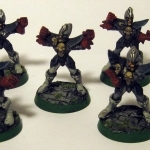 However, that would also necessitate starting with only four Chaos Dwarf Blockers. In this current set-up, if I win my first game I’ve got a 50% chance of being able to buy my sixth Chaos Dwarf Blocker. After that it’s saving up for the Minotaur. Re-rolls are 70K so I won’t be purchasing any more but I’ll consider Leader on a doubles for most players. Frenzy is a little redundant as I’ll probably have a Minotaur by the time the blitzer is at 31 SPP but having a frenzy piece that doesn’t have Wild Animal or Loner is appealing to me. The progression of the Dwarfs won’t be too surprising. Guard on the first two that skill up, for sure, followed by some Stand Firm. Depending on the landscape of the league and the average AV I’ll be facing I’ll have to keep Claw top of mind if any doubles come up. The Hobgoblins, skill-wise, are going to be one and done. The last thing I want is for my team value to bloat because of Hobs with multiple skills. Not that I think this will really happen as I plan on using them as pylons and assists more than anything else but unless a Hob gets something spectacular like an AG or ST boost they’ll be cut if they live to reach 2 skills. Kick and Dirty Player are my two most likely choices for Hob skill-ups.